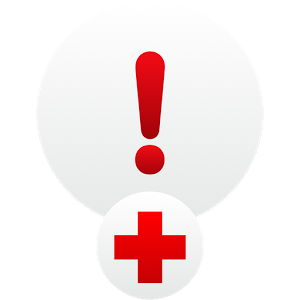 Emergency doesn't stop with just your well-being. It's also concerned about your friends and family. You can select them from your saved contacts list and enter their city. The app will then let you know when something heads their way. Or if you're someone who travels a lot, you can simply enter the various metropolitan areas you frequent. Then you're informed whenever there is a blizzard, earthquake, flood, hurricane, thunderstorm, tornado, wildfire, or some other instance of the weather being grumpy. Emergency comes with an alarm, flashlight, and strobe light that could potentially come in handy during any of these scenarios. 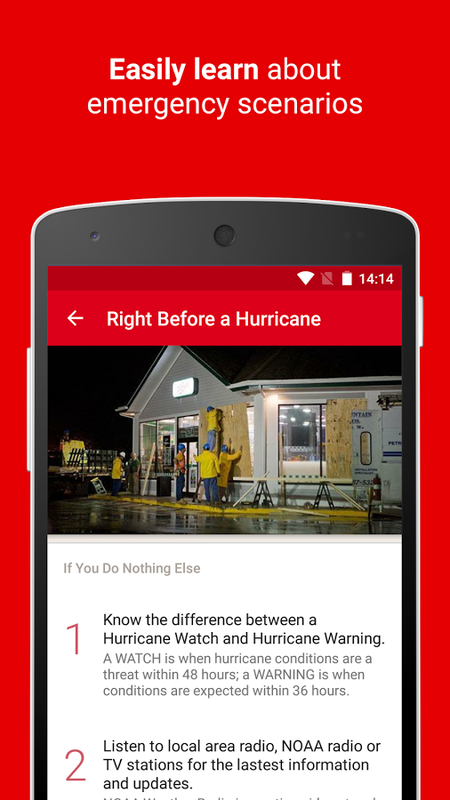 There are also quizzes and such to help your family prepare. 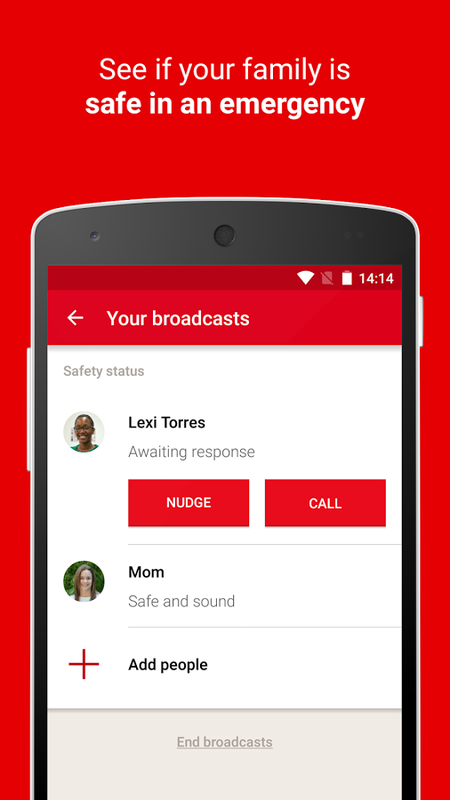 The app is free to download and should look right at home on your Lollipop device. Free and available in English with a Spanish-language toggle. 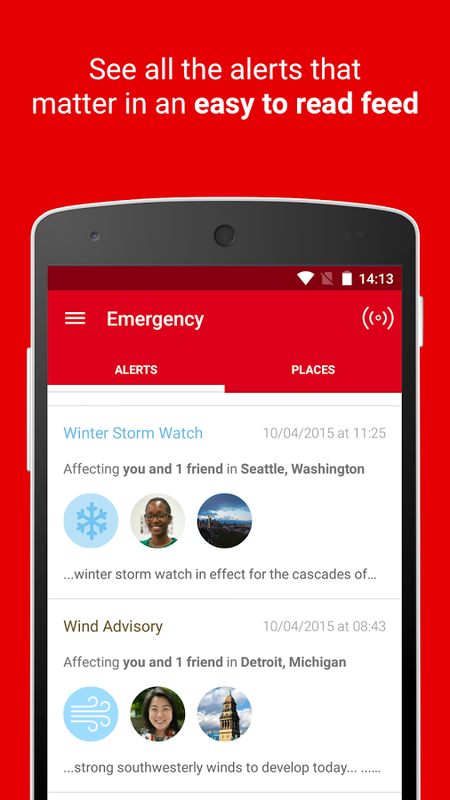 Monitor the people and places you care about with real-time local alerts for severe weather and hazards, including earthquakes, tornadoes, hurricanes, flood, tsunamis, winter storms, thunderstorms, extreme heat, and wildfire and many more. 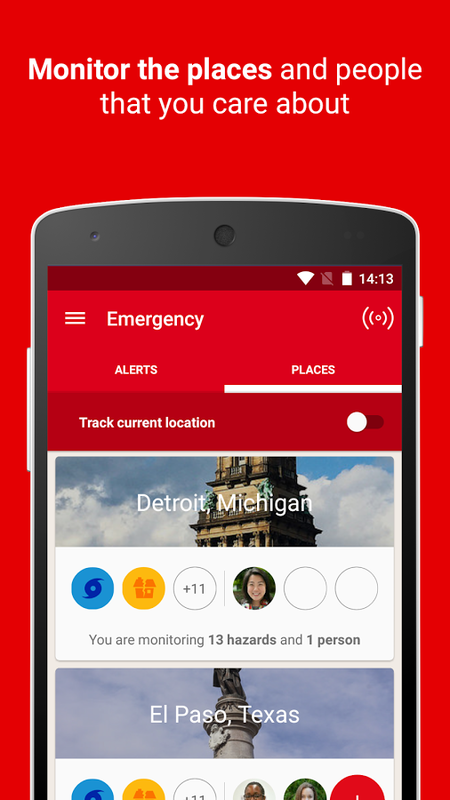 Family Safe feature - easily connect with loved ones to share alerts for their area and see if they’re safe during severe weather. Customizable alerting and push notification options. Interactive quizzes with sharable badges users. 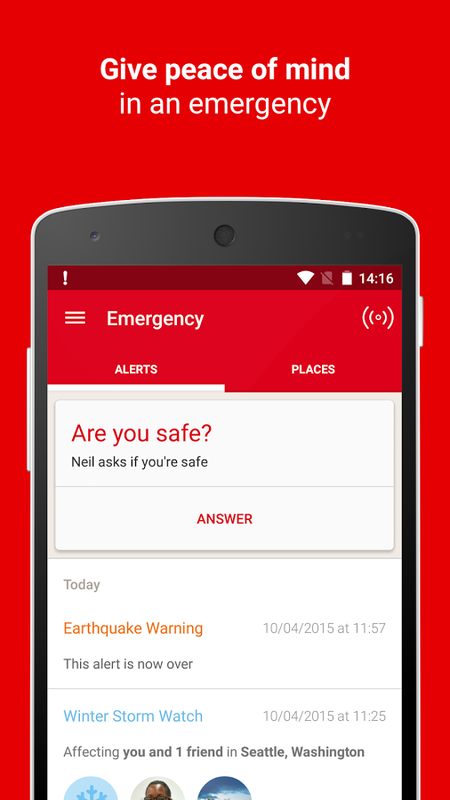 Preloaded preparedness and critical emergency content providing instant access even without mobile connectivity. A toolkit with a flashlight, strobe light, and audible alarm. Step by step directions on how to make a family emergency plan .